This is a long overdue stall that I always wanted visit and never got the chance as my previous attempts failed due to that they were closed for the business day. 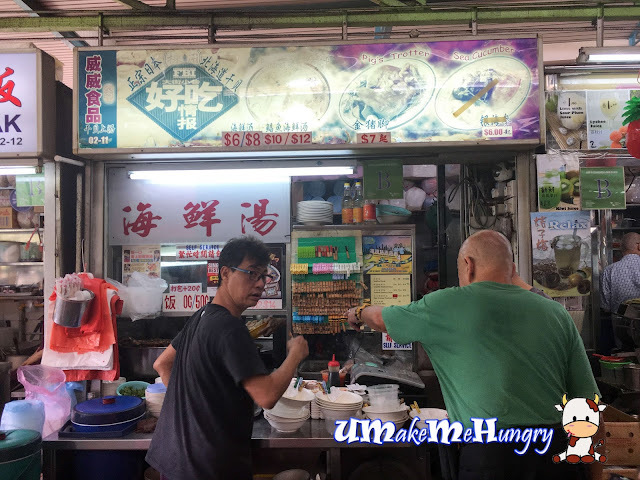 Popular for their Seafood Soup and highly raved in the social media industry, it's time to try now. Wei Wei is located very near our Woodlands Checkpoint and you won't be surprise by the number of people ahead of your order, thus expect to be patient here. The service makes waiting time worse. 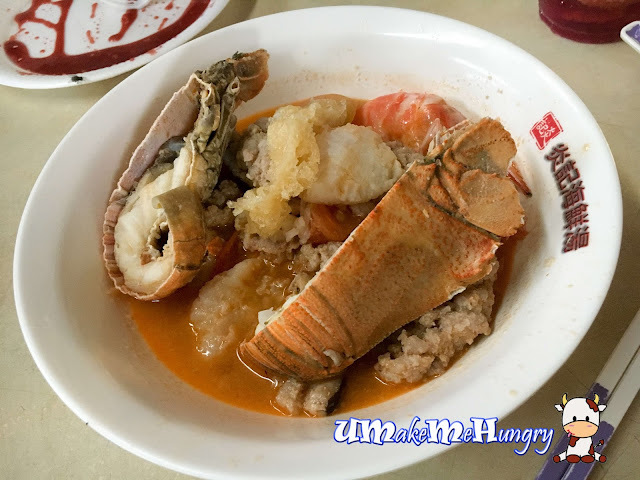 We had ordered 2 different kind of Seafood Soup with add on but when they came, both were the same (Crayfish Seafood Soup with Scallop). The server insisted that it is different and told us to take it, then he walked away. That wasn't cool as he was shortchanging us with the price differences. We took back one of the bowl and said that it was wrong. The one who was taking the order had make a mess and the cook mentioned he will prepare the right one for us. After another round of wait, he served the Red Grouper Seafood Soup but without the Scallop. In the end, the server made a return trip to have it add on. Crayfish Seafood soup looked yummy with other ingredients like fish maw, cherry tomatoes, prawn, fish meat and big pieces of minced meat ball. 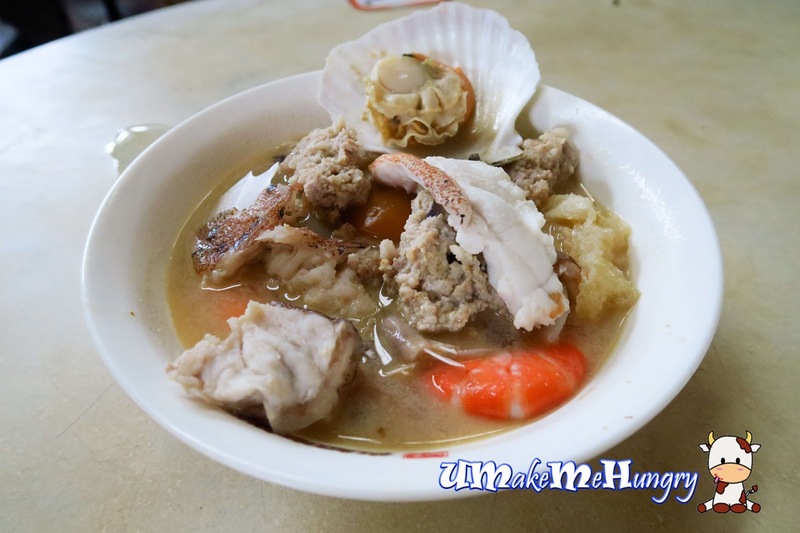 The light orange colored soup kind of remind me of Sin Kee Seafood soup which I like. Amount of soup was quite miserable and on the very fish mouthful of it, it broke the record of highest level intake of salt that I had from one spoon. Horribly Salty! 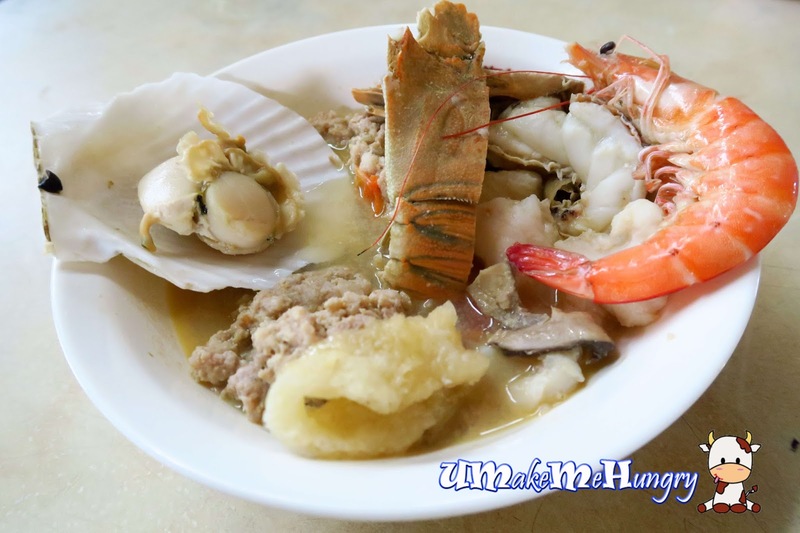 Yes finally, the bowl of fish seafood soup is served with our additional scallop ordered. I'm kind of upset with its soup as the salt level of this bowl was a vast different from the Crayfish Seafood Soup. It turned out to be more diluted, sweet and tasted decent of course. No doubt fish were fresh, the difference in their soup base was something I would never have expected. What a mess! 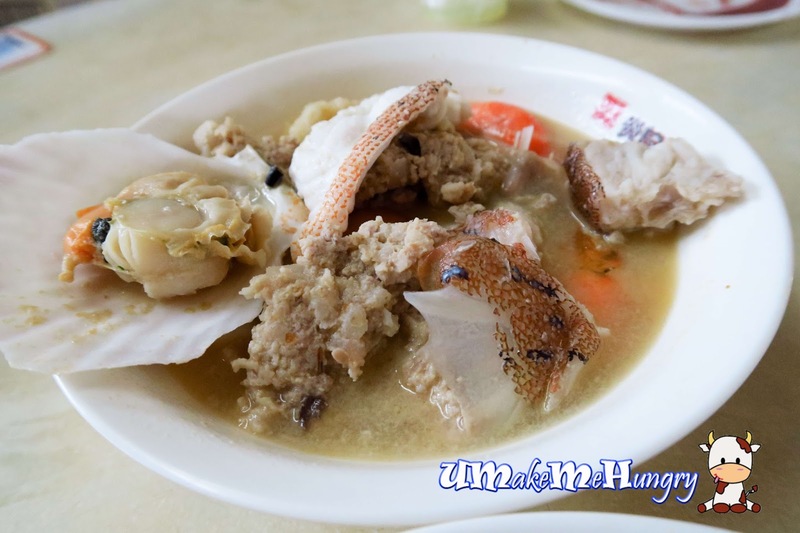 It was an unpleasant experience to have series of blunders just to get a bowl of seafood soup. Its inconsistency taste and especially attitude of service were a disaster. This seafood soup was something I longed to eat this but ended up, the ideal craving was kind of smashed and I wont be back definitely. What a wasted and disappointing trip.